Do you have a ghost story about the Sweetwater County Library? Have you shared it with us? If not, let me take the time to ask you to do so. Some people may ask “Why do we keep the Ghost Log?” My answer is simple. We keep the Ghost Log so we all might better understand the spirits. Since 1993 I have maintained the official Ghost Log for the library. It started out as a simple one inch binder. As I would hear storied from the staff, I would write them in. The first week I worked here, staff would pull me aside and tell me stories of how the curtains in the big meeting room would move. One such story stated how the, then director, closed the curtains and turned around to leave the room. She heard an odd sound and turned back around. To her amazement, the mechanical curtains were wide open. At that time, the curtains were weighted down by heavy chain stitched in the hem of the curtain itself. On top of that, they were mechanical which worked very slowly. She know something very odd had happened. This also happened to two others. 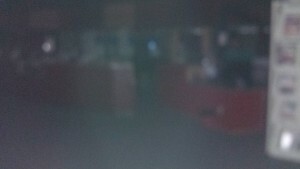 Staff reported hearing odd sounds, whispers of someone saying their name in their own ear. Creepy or usually to say the least. I myself have had the “ghosts” whisper in my ear my name “M..i..c..k..i”. It very much got my attention. More reports of items going missing were received. Cupboard doors would open or close on occasion, books would drop, and the sounds of running feet were heard. One of the more common reports has always been someone smelling pipe tobacco or flowers. It is usually in an odd place. We do not allow smoking the building, so the smell of tobacco makes us always go on the hunt. No one is ever found smoking the building, nor is remnants of tobacco found of any kind. As for the flowers, it has been suggested that it is just the cologne staff are wearing. This does not pan out. Most times it is the smell of lilacs or lilies, with the occasional rose. The staff reports they do not wear these scents. You will see my name in the Ghost Log more than anyone else. This is not to say that I have had more experiences. It is just that most reports have been given to me and I have prepared them for the book. Usually I will mark the report as, date, by Micki for XXXXXXXXXXXXXX. I have also had my share of experiences, but as you read the reports you will see which are mine. Unfortunately some staff and patrons are not comfortable putting their names in the book. That is fine. I do not mind placing the report for them. When the Ghost Log first started it was just staff reports, but it has grown immensely and now includes countless patron/visitor reports as well. 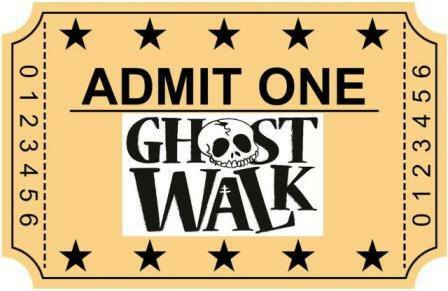 The Ghost Walks started in 2006 and since the beginning we have received many reports, photos, and audio files or EVPS. We are very grateful for the public sharing their findings. Without these files we would not have the vast information about our ghosts in the stacks and around the building and grounds. It is my opinion that by gathering more information we can then pull this information together to help us bet understand what we actually have here. I truly hope that the spirits know how interested we are in them and hope they will continue to communicate with us. Thank you to all of those that have shared their findings. Photo shared by Lindsay Parks, 4-5-2013. Tickets–$5 each. Must be 15 or older to attend. Ghosts of Christmas Past—Dec. 5th. If you are among those that attended the 2014 Ghost Walks, you might have heard some conversation regarding the name “Cowboy”. Who is Cowboy? Well, we wish we knew. Our good friend Ursula Krentz seems to attract a few of our local spirits and one seems to be “Cowboy”. Green light sine down in the Multi-purpose Room. Garage-I saw a green, what appeared to me to be a person go by me. Then when I turned to tell everyone what I saw I felt something touch my hair. Then Mary took a picture and all she got was a green blob. My KII meters lit up when I asked if there were cowboys there. I told them I loved cowboys and my KII and EMF meter went crazy and got an EMF reading of 1.9. Garage-I was taking pictures with no flash. Enhanced with Adobe Photoshop and 1 picture showed green blob, another picture shows bright light coming off the end of Ursula’s meter. Another picture taken at large table in library shows a figure sitting at the table. 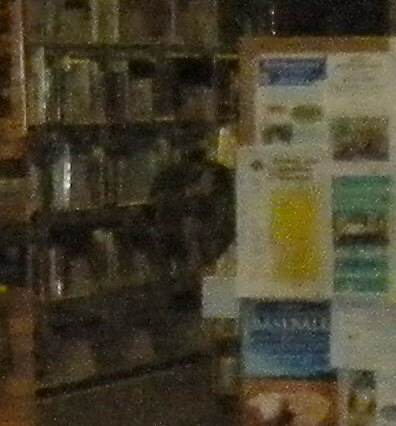 Another picture shot toward the children’s section shows a glowing head and shoulders. We heard voices. I told everyone about my experience with the cowboy and Micki, Tiffany Kennah and I heard a man laugh. I was hearing beeping and I opened my pouch to my EMF detector was flashing red and beeping while it was powered off. And never once have I gone to a Ghost Walk and got readings at the doorway of the Staff Lounge. This night it was going off like crazy. Isn’t it amazing how one person will not have experiences while at the library and others of us have many. I am asked often if we really have activity here. Many people say they have been in the library for years and have had nothing. They are so disappointed it seems. And on the other hand there are also many that have reports and they seem to attract the spirits. What is it about some of us? I for one did not have only a couple small things happen to me before I started working here. But….the first week here I had them say my name in my right ear, like a whisper, M..i..c..k..i. Yes, they know our names. At first it did make me uneasy, but I did not feel afraid. I thought that odd. At first I did wonder if I should be afraid. In all the years since, I have had them say my name many times, I have been touched on the arm, I have felt countless cold spots, and the list goes on and on. For our friend Ursula, “Cowboy” is one ghost friend. When she is here (without her husband) she gets the KII’s to light up and there does seem to be interaction. When her husband is here, not so much. Does someone has a crush? I laugh, but we keep an eye on things anyway. Take a look at the photo that is thought to be “Cowboy”. It is very hard to make out. There is a greenish shape. You should see a head and shoulders. Let me know if you see anything else.